On September 4th, 1927, a jolly goofy animated bunny named “Oswald the Lucky Rabbit” made his silver screen debut. In the five minute and forty-six second short entitled “Trolley Troubles,” the earnest conductor drives his trolley full of rabbits through (and under) a variety of obstacles – including a stubborn cow, a seemingly insurmountable hill and a panic-inducing brake failure. As his trolley speeds towards oblivion, the nervous Oswald even takes off his own foot and kisses it for good luck because, well, it’s a rabbit’s foot. What made Oswald’s debut notable wasn’t the hijinks, but the man who created him. It was 90 years ago this year when Walt Disney’s first animated creation was shown to the world. As we all know, it wasn’t his last. But how did Disney go from a lucky rabbit to a charming mouse? The answer isn’t simple and it wasn’t necessarily by choice. Here’s how Walt Disney began with a bunny and ended with a rodent. Even at a young age, Walt Disney stood out among his peers. Through his teens, he was often contracted out to do animation work. By 1921, he had made enough money to open his own studios at the age of 20 – Laugh-O-Gram Studios in his hometown of Kansas City, Missouri. While it struggled, Disney was ambitious and daring, including convincing a publisher at the New Yorker to finance a new film featuring a live-action girl interacting with cartoons (called Alice in Wonderland). However, before he could complete the film in Kansas City, Disney’s company went bankrupt. So, he packed up and moved to Los Angeles. His brother joined him there and they went into business together, forming Disney Brothers Studios. It was in Hollywood where they finished Alice in Wonderland and sold the concept (but not the original short). By 1924, the Disney brothers had an order for series of “Alice Comedies” shorts. In all, they made over 50 shorts featuring several young actresses playing the title character “Alice.” This success made him (and his brother) fairly wealthy, but soon Disney grew tired of the format. He also thought the quality of the animation was subpar due to having to spend too much time dealing with the live action portion, like securing studio time and dealing with actors. As such, the last few Alice Comedies (which have been recently restored) actually feature a lot more animation than live-action components. Urged to get the cartoon done as quickly as possible, Disney and his team dove into work developing their new animated rabbit “Oswald.” Contrary to popular belief, the name does not hold any real significance. 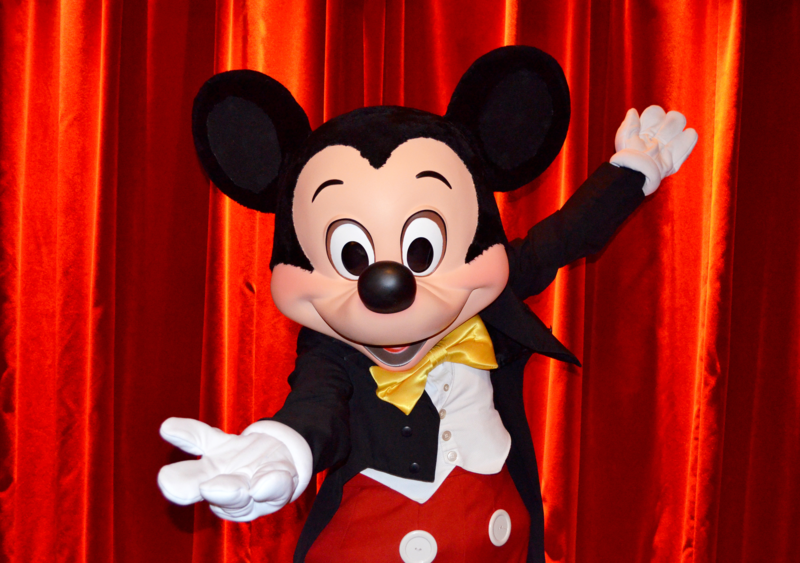 According to legend, the name “Oswald” was picked out of a hat at a Universal staff meeting – which is also why it didn’t follow the alliterative pattern of other animated characters like Bugs Bunny, Pink Panther and, later, Disney’s own Mickey Mouse. Oswald’s next short – “Trolley Troubles” – thrilled Universal and they made it the first Oswald cartoon to hit the big screen. Critics and audiences alike also loved it, often commenting that the rabbit (and not the cat) was a natural comedic animal. For the next few years, the Disney Brothers and Universal rode Oswald’s fame, making a good living while still enjoying the love of the audience. But in early 1928, it all came crashing down. For years, Disney had worked with a business partner named Dan Mintz, who had distributed and negotiated with Universal on his behalf. In recent years, Mintz had become disillusioned with Disney, believing that he was hard to work with and that – since he was no longer animated the cartoons himself – was fast becoming unneeded. While Disney had created Oswald, he did it as a part of a contract with Mintz and Universal; due to the terms of the deal, Oswald was technically Universal’s property, not Disney’s. So, with his contract expiring and believing he was owed a pay increase, Disney approached Mintz and was flat out denied his request. He was even told if he wanted to stay on he’d need to take a pay cut. What’s more, Mintz outlined his plan to hire Disney’s animators away so Universal could seamlessly continue on with Oswald. Essentially, Mintz was looking to cut out what he viewed as the useless middle-man in Disney. Disney was furious but had little recourse except to tell Universal that they needed to fire Mintz or lose Disney. Universal picked Mintz and continued to produce Oswald the Lucky Rabbit for years afterward (in several iterations). While Disney always claimed that Oswald was stolen from him, that wasn’t exactly the case. While what Mintz did wasn’t exactly nice – especially to a friend and a long-time partner – Universal did own the rights to Oswald. Disney probably didn’t appreciate it at the time, but this whole ordeal would be a turning point for the better in his career. Within weeks, he was already tweaking a design for a new character that he had developed with the one animator, Ub Iwerks, that didn’t leave him for Universal. To be frank, the new character didn’t look a whole lot different than the old one. Shorter, rounder ears and a tubbier stomach, Disney and Iwerks simply very slightly transformed the rabbit to look more like a mouse. And they called him Mortimer. Fairly quickly, however, they changed the name to Mickey because, as legend has it, Disney’s wife Lillian thought the name “Mortimer” was too pompous. Whatever the case, Mickey would humbly make his big screen debut on only one screen in 1928 in a short called Plane Crazy. His next short, The Gallopin’ Gaucho was even less successful on its initial run- ultimately not running anywhere, with Disney failing to find any distributor willing to show it. Not the first animated cartoon to be synchronized with sound effects, but the first to attract favorable attention. [Steamboat Willie] represents a high order of cartoon ingenuity, cleverly combined with sound effects. The union brought laughs galore. Giggles came so fast at the Colony [Theater] they were stumbling over each other. With Steamboat Willie a hit, the aforementioned two previous shorts were reproduced with synchronized sound, this time with Disney having no trouble finding a distributor to give them a wide release. And the rest, as they say, is history. In 2006, nearly eighty years after Disney had lost Oswald, the doofy rabbit returned home. According to the New York Times, then-president of the Walt Disney Company Robert A. Iger had made a promise to Walt’s daughter Diane that he would bring Oswald back into the company. As it just so happens, the legendary sports announcer Al Michaels was on the outs with the Disney-owned ESPN. So, Iger struck a deal with Universal: Give us Oswald back and Michaels can sign with NBC (to do sports). NBC agreed. “Mortimer” Mouse actually would make appearances in later Disney cartoons, first in the the 1936 cartoon “Mickey’s Rival,” where he plays Mickey’s rival for Minnie. He’s rude, selfish, and sexist. In other words, the exact opposite of Mickey. He also looked more like a rat than a mouse, with his longer snout, whiskers, and two protruding front teeth. Oddly, he talked in a Brooklyn accent. He would appear again in “Mickey’s Rival Returns,” 64 years later in 2000. I’m sorry for this, but a bunny is also a rodent.